- Celebrating her title from Litany of Loretto. - Patroness of purity, faith and morals. 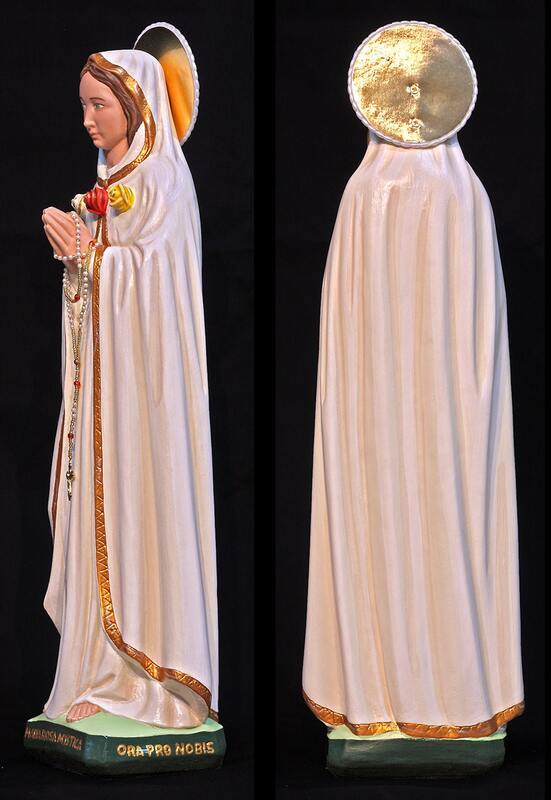 This majestic 18" statue features a peaceful hand painted face and details such as fingernails and eyelashes, golden halo, golden edging on cloak, and hand-made tiny rosary around hands. 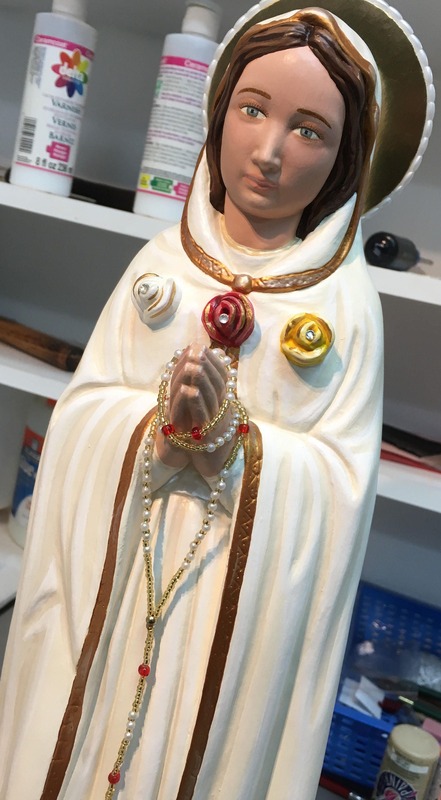 This statue will be touched to relics associated to Our Blessed Mother Mary and St. Joseph. Note: All our statues are made to order and handmade in the USA. Please allow 5-10 weeks for us to make and to ship your statue. 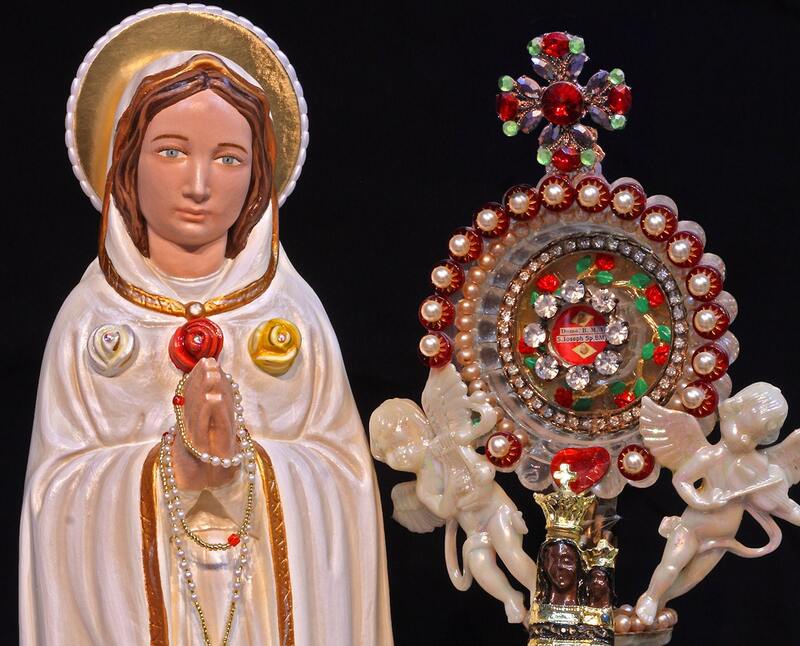 • INSPIRATION - Statues made during conditions of prayer and fasting in workshop in midst of 750 saint relics.